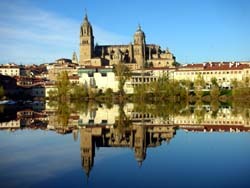 The presented room availability, rates and discounts are actual and final for all our 77 hotels in Salamanca. The main part of remarkable landmarks and sites of historical importance is accumulated in the city center which should better be explored on foot. A tourist tram cruises the city center stopping at all remarkable object of tourist attraction. Tourists wishing to rent a car should go to the railway station as this area hosts several popular car renting centers. The most profitable and favorable terms of rent are offered in the Hertz center. A day of rent of an economy class car will cost about 50 Euro. The main type of public transport available in the city is a bus running to every district of the city. By bus tourists can get to any landmark and site of the destination. A cost of a travel will be about 3 Euro. Bus station provides all the information on the bus table and current routes. 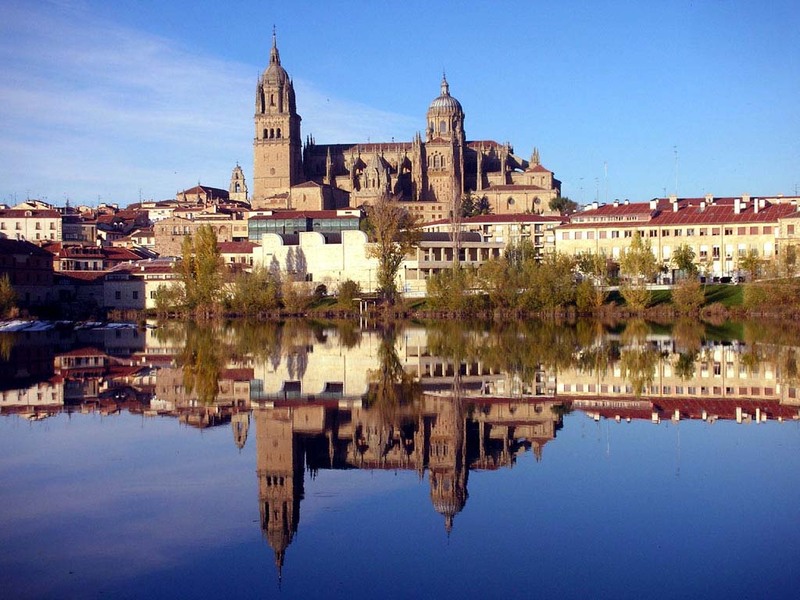 Many guests of the city of Salamanca prefer combining their rest with learning of Spanish language. The city invites its curious guests to visit an excellent language school named Tiatula. The school is located not fat from the main square of the city and is known for exciting and comprehensive teaching program. Tourist arriving in the city for more than a week should necessarily join the language classes as the cost of language learning in this school is one of the most reasonable in the country. The city features a rather convenient bicycle renting system. An hour of usage of a bicycle is free. Bicycle rental stores are available on weekdays from 7 am till 10pm and on weekends from 10 am till 10pm.